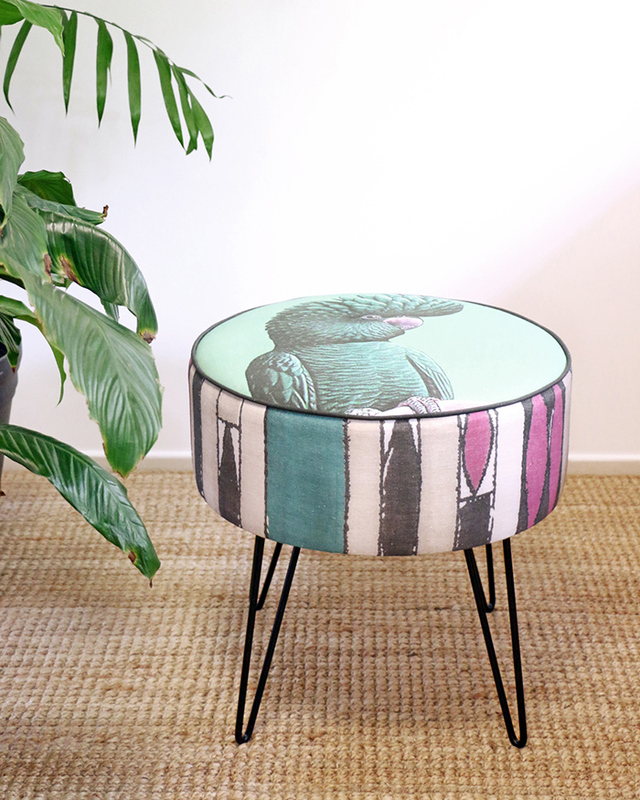 This Brisbane design studio is collaborating with an exciting line-up of local and Australian artists and designers on a new range of ottomans, with styles ranging from sleek and refined to eclectic and boho. 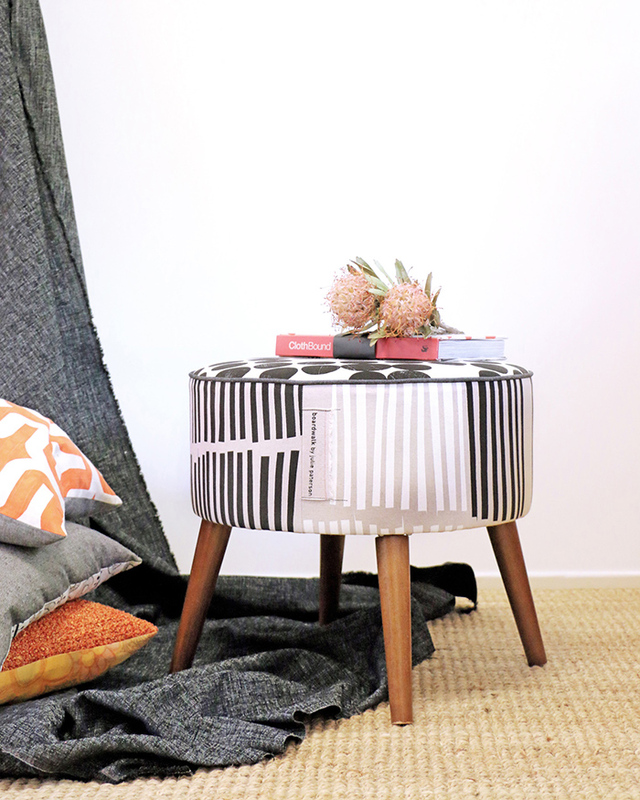 With an ethos that is all about slowing down, Brisbane-based Ministry of Handmade is making (and teaching others how to make) soft furnishings with a whole lot of heart. 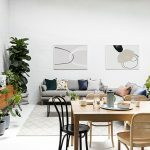 Julie and Maurice Hillier have three studio spaces in their Bridgeman Downs base where they create their soft furnishings (they’ve even been picked up by the uber stylish Halcyon House in Cabarita Beach, Northern New South Wales, who commissioned no less than 90 lampshades for their new day spa development). Ministry of Handmade is excited to announce a new project they are set to launch – Art Series Ottomans. 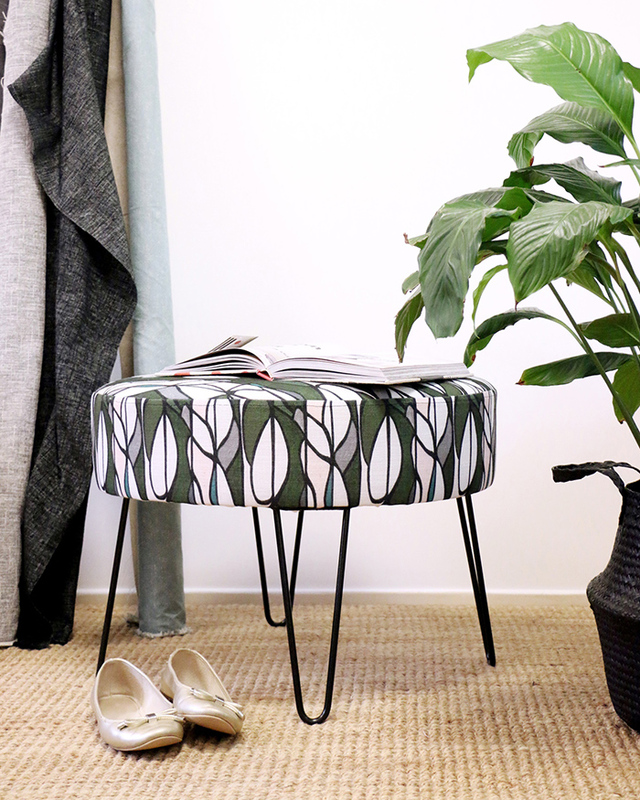 Using fabric exclusively from ten of the most inspiring and talented Australian textile designers and artists, the range includes bespoke handmade and limited-edition ottomans and coordinating lampshades. The Art Series Ottomans series includes work from Australian designers and artists including Julie Paterson (ClothFabric), Aaron Darcy (A Boy Named Aaron), Cass Deller (Cass Deller Design), Sarah Kaladis (Studio One Thirty), Josie Anneal (Slower Dawn), Lynne Tanner (Social Fabric), Bridget Diggins (Botanic Print House), Jennifer Wurrkidj (an indigenous artist working through Babbarra Women’s Centre in Central Arnhem Land), Michelle Morton and Danielle Morton-Jallow (Bambambu), and Felicity Gibson (Home Dweller). Ministry of Handmade’s Art Series Ottomans launch is on this Saturday 28 October from 6.30pm at their studios at Bridgeman Downs. 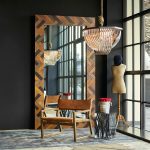 In addition, a number of their Brisbane-based designers will also feature a range of their other products and work in their own pop-up shops in the Ministry of Handmade Studios. They’ll be on hand to talk to visitors directly about their process and inspiration for their craft.